Where Art Thou Black Rom-Coms? Posted on January 20, 2013 by Warin	in Chevonne Harris, Film, Hollywood, webisodes. This article originally posted by Chevonne Harris of Aol’s Huffington Post, explores her frustration with the lack of quality titles featuring African Americans in the romantic-comedy genre. Her concerns are not a new one, nor are they unique to her. I’ve heard many people lament the lack of quality movies featuring people of color not only at the box office, but also in the search results of their Netflix account. Ultimately, this comes down to a lack of representation for many people of color. Why should we “settle” for one to two mainstream ‘black’ romantic films per year? This still is a problem in Hollywood, although recent advances in technology -such as webisodes- are proving to be a viable alternative with each passing year. What are your thoughts? 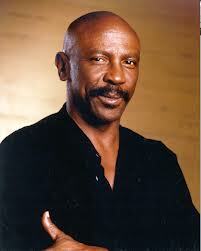 Posted on December 5, 2011 by Warin	in Blaxploitation, Film, Louis Gossett Jr., Quotes. Posted on September 30, 2011 by Warin	in Academy Award, Dorothy Dandridge, Film, Legacy, Women. 46 years ago this month, the world said goodbye to Dorothy Dandridge. 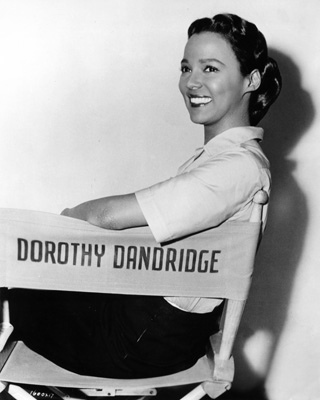 Dorothy Dandridge is a name that is too often forgotten when it comes to women in the early days of Hollywood. Everyone has heard of Marilyn Monroe, Audrey Hepburn, Elizabeth Taylor and the like. Well, Dandridge was every bit the onscreen presence these women were, but as a black actress in the 40s and 50s it was hard to get noticed and even harder to find consistent work. Hell, truth be told it’s still hard for women of color to find steady work in Hollywood and get recognized (see Taraji P. Henson). What makes Dandridge so compelling is the fact that she wasn’t just an actress, but a singer as well. She was what you would call an all around entertainer. Perhaps best known for her work as Carmen in the movie ‘Carmen Jones,’ Dandridge was electrifying on screen and would even garner an Academy Award nomination for Best Actress in 1954. She didn’t win, but maybe more importantly, she proved she belonged.